Editor’s Note: We first published this article in 2014, as “11 Open Source Ecommerce Platforms.” We updated it in Sept. 2017, below. Open source ecommerce platforms offer businesses an inexpensive and customizable option for launching an online store. Many of open source platforms also have active support communities and scalability, for growth. 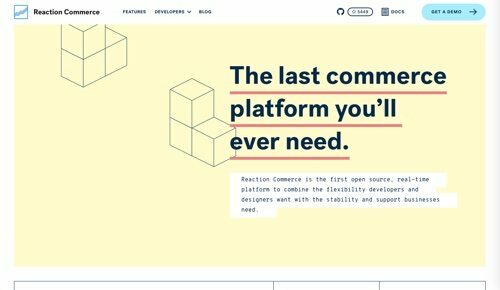 Here is a list of 20 open source ecommerce platforms. There are new and established platforms, with both core features and contributed add-ons. Many of these open source community solutions also have enterprise platforms for larger players. WooCommerce. WooCommerce is the most popular ecommerce platform, with nearly 31 million downloads powering approximately one-fourth of all online stores. Originally a developer of WordPress themes, WooCommerce is built on the WordPress framework. WooCommerce is highly customizable, with over 400 official extensions and many plugins. WP eCommerce. 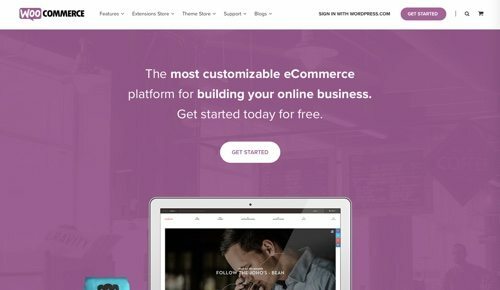 WP eCommerce is another popular ecommerce platform built for WordPress. Choose from free gateways such as ProPay, PayPal, and Worldpay, or choose premium payment gateways such as Stripe and Authorize.Net. WP eCommerce has a wide variety of features, including built-in marketing tools, multi-tier pricing, built-in shipping tools, and integration with popular couriers. OpenCart. 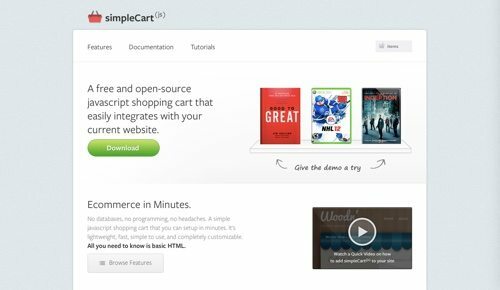 OpenCart is a free open source platform written in PHP. The OpenCart marketplace features over 13,000 modules and themes to start and expand a business. OpenCart also has an active community for support, with more than 110,000 registered members and more than 550,000 posts. 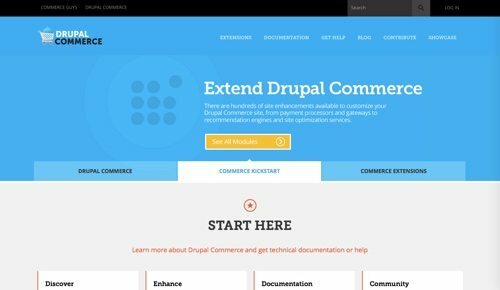 Drupal Commerce. Drupal Commerce is an open source ecommerce platform built on Drupal 7, a content management system. It offers a complete product administration system, shopping cart, and checkout form. It supports multiple languages and currencies out of the box, with additional ecommerce features and usability enhancements provided by contributed modules. Spree Commerce. Spree Commerce began as an open source ecommerce platform in 2008. Almost 500 developers have contributed to Spree. The modular platform allows for easy customizations and upgrades. In 2013, Spree Commerce launched its integration platform, now called Wombat, which automates backend operations for storefronts using any platform, not just Spree. More than 45,000 retailers use the platform. Magento Open Source. Previously “Magento Community Edition,” Magento Open Source is a free version of the Magento ecommerce solution, one of the largest ecommerce platforms, with 150,000 active developers and over 300 partners. Magento’s marketplace features hundreds of extensions and themes to customize a store. Magento also offers ecommerce training courses and a certification program. PrestaShop. PrestaShop is a free shopping cart platform that helps small and large businesses create and run a successful online store. Choose from 3,000 features and 2,000 designs with PrestaShop add-ons. PrestaShop also offers training courses and a technical support plan. The project has nearly 400 contributors on GitHub. PrestaShop powers more than 270,000 stores and has 1 million community members. Saleor. Written in Python and using Django, PostgreSQL, Elasticsearch, GraphQL, and Docker, Saleor has an industry-standard checkout process, offers a mobile shopping experience, and is search engine-friendly. It scales to support millions of products, customers, and orders. Show prices in local currencies and accept payments using popular payment gateways. Saleor’s easy-to-use dashboard makes it possible to manage your store from any modern device. Sylius. Sylius began in 2010 from a family company selling cosmetics. The company went out of business, but the ecommerce component survived and managed to gather a strong following of developers. Its first beta release was in 2016. The project now has over 400 contributors and over 4 million downloads. The flexible platform has been designed with integrations in mind and is easy to host and scale. nopCommerce. nopCommerce powers corporate and small business sites, selling physical and digital goods. nopCommerce provides a variety of checkout options — one-page checkout, anonymous checkout, addition of checkout attributes, and more. Featuring an active community of users and developers, nopCommerce is used by over 27,000 storeowners and has been downloaded nearly 2 million times. VirtueMart. VirtueMart is a complete ecommerce solution to use with Joomla, the content management system. Change the look and feel of your site by using Joomla templates. VirtueMart has a very small team. There are few active developers, who help evolve the core system and update the project’s open program sources. However, Joomla has an active forum and extensive extensions directory. KonaKart. KonaKart is an ecommerce platform for all retailers — small and large. KonaKart offers a free Community Edition for smaller businesses, as well as a premium enterprise extensions, installed on top of the Community Edition, to provide more features and functionality. Customizing a store is easy as the user interface code is provided, and the remaining source code is sold as a separate product. KonaKart will run in any hosting environment that supports Java-based applications. Shopware. Shopware began in 2000 as a German family business. It has grown into a solution for international companies of all sizes. Shopware offers a free open source edition, as well as professional and enterprise editions. Shopware strives to create inspirational and emotional impressions with shoppers. OroCommerce. 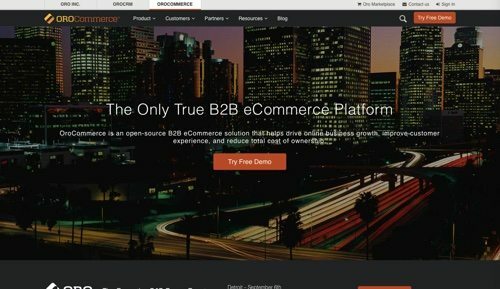 OroCommerce is an open source B2B ecommerce platform that helps drive online business growth, improve customer experience, and reduce total cost of ownership. It has a community edition and an enterprise edition. Features include shopping list management, buyer-seller interaction, multiple currencies, multiple warehouse management, scalability, Elasticsearch, forums, and more. Pimcore. The Pimcore framework is for creating flexible B2B and B2C ecommerce experiences. Use the Pimcore data model to create a database for implementing complex product wizards. Use object relations for manual product recommendations. Define flexible marketing and pricing rules. Create a compelling user experience and still fully integrate into the ecommerce system. 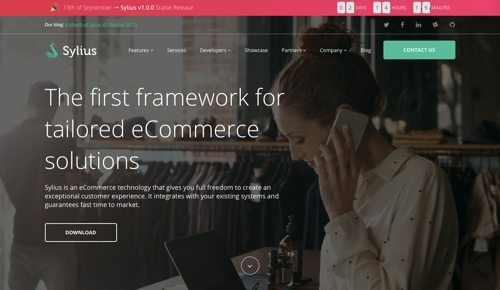 The ecommerce framework is available for partners only. Oscar. Oscar is an open source ecommerce framework for Django. Oscar is domain driven (able to capture subtleties of a domain), making feature development and maintenance easier. Any product type can be handled, including downloadable products, subscriptions, and child products. Zen Cart. Zen Cart is a popular ecommerce solution that has been around since 2003, when it branched from osCommerce. It has a large support community (over 150,000 members and 200,000 threads) and a wide variety of add-ons and community-contributed modules. Zen Cart uses a customizable template system that is ready to run immediately. osCommerce. 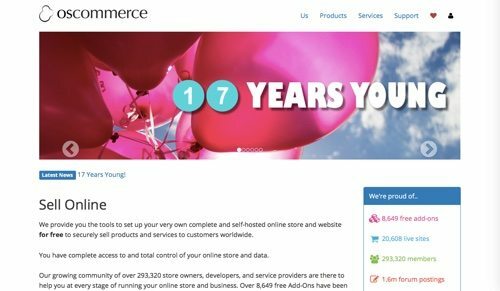 osCommerce began in 2000. Its “Online Merchant” edition is a complete store solution that contains both a front-end and an administration backend that can be easily configured and customized using nearly 9,000 free add-ons. osCommerce also offers a mini template system.